As we celebrate African Penguin Day on Saturday 13th October it seems like a good time to reflect on the importance of Marine Protected Areas (MPAs) for African penguins. Firstly why should we worry about these cute little black and white birds? Well, firstly they are endangered – this means that their numbers have reached such low levels that unless we do something drastic we face the possibility that they may go extinct. Secondly they are endemic to the South Africa and Namibia – this means that we have the responsibility to protect this species, they do not live anywhere else in the world. Thirdly, they are iconic birds and the foundation for many tourism initiatives in the Eastern and Western Cape. Fourthly, they are our “canaries in the mine” – which means that they tell us what is happening in the ocean – if our penguins are in trouble, then many other types of marine life are probably also in trouble too. And finally we need to ensure that our children will have the pleasure of seeing African penguins in the wild – we simply cannot tell our children ‘We once had penguins living here – but they are all gone…..’. So, why do African penguins need MPAs? Well many of our proposed new MPAs will provide some form of protection for these special birds. Many of our penguins make their nests, lay their eggs and raise their little chicks on islands. So, if the Robben Island and the new Addo Elephant Marine Protected Areas are proclaimed, two important penguin breeding areas will be protected. And this is good news for penguins and people. 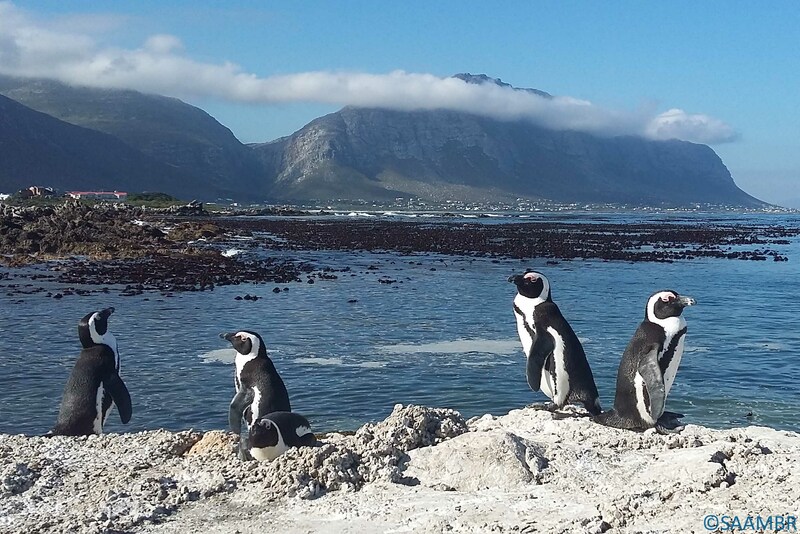 So this African Penguin Day, have a look at our new Marine Protected Areas website www.marineprotectedareas.org.za and see how the proclamation of the proposed new MPAs will help African Penguins. Then send us a message of support for our new MPAs so that we can encourage the government to proclaim them.